Hi! My name is Taiya and I am the President of Alpha Xi Delta. As president, my job is to positively represent the Gamma Nu chapter nationally and at Southeast Missouri State University, however, this isn't hard to do when you have 100+ amazing women to oversee! My major is Healthcare Management and in my free time I love to go on road trips and listen to country music! Hi I'm Kayla Keith! I am a member of the Fall 2016 pledge class and my major is Exceptional Child Education. My position is Chapter Life VP and I ensure all of our bylaws are being followed daily and I am in charge of risk management. My name is Madison Mumma, I am 20 years old and I became a member in fall 2016. I am a pre-pharmacy major here at SEMO and plan to go to UMKC for graduate school. I am the philanthropy VP, so I am in charge of organizing all of our fundraisers for Autism Speaks. Autism speaks holds such a special place in my heart and I am so proud to work with Alpha Xi and support such a great organization. My name is Kendallyn Kneedler, I'm a marketing sales management major with a minor is healthcare communication. I have the communications Vice President and I'm EXTREMELY excited to launch the chapter news letter and strengthen our alumni relations. Hi I'm Cierra Stanley! 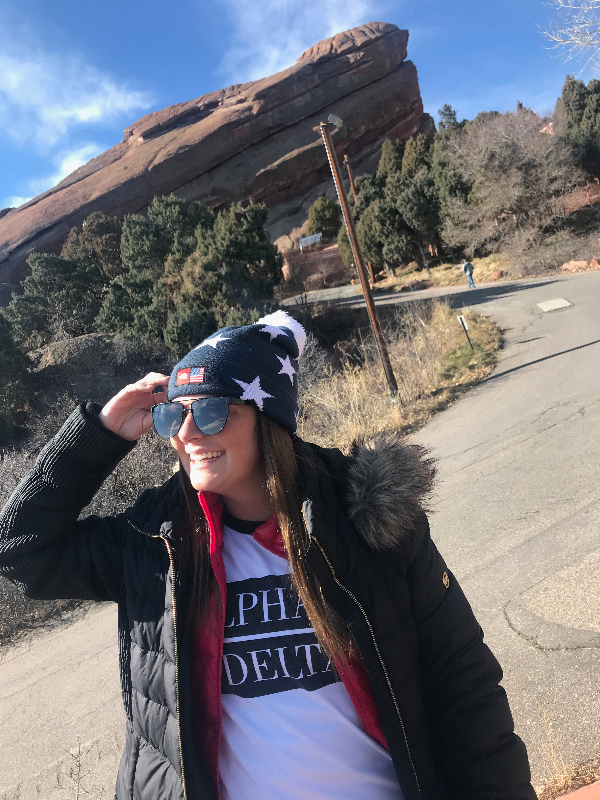 I am a social work major, and my position is Panhellenic delegate. I work closely with Panhellenic exec to report important information they have to our chapter, as well as attending weekly meeting to receive information about upcoming events, dates, and minimum standards. I also get the privilege of getting to know about other chapters, their upcoming events and going over a community discussion! My name is Emily Feuerstein and I am currently in a second semester of my junior year here at Southeast Missouri State. I am a Communication Studies major with a double minor in Human Resource Management and Management. The position I hold for Alpha Xi Delta is membership VP. I’ll be in charge of formal and informal recruitment therefore I am thrilled to meet the future women of Alpha Xi Delta. Hi! My name is Kristen Hanser, and I am a freshman here at SEMO. I am majoring in corporate communications with a minor in marketing management. For Alpha Xi Delta, I am the Financial & Operations Vice President! In this position, I provide assistance with the daily financial tasks of the chapter, monitor member's OmegaFi account, and manage reimbursements and invoices.